Since switching to a vegan lifestyle I've really noticed a massive shift in my thinking. It's like someone took the blinkers off that I'd been wearing for the last 26 years. All of a sudden I'm so much more aware of the impact that we all have on this ball of rock that we call home. And the more I look, the more I see that our gorgeous planet is slowly but surely being ripped apart by our destructive practices. So I decided that I'm going to make a conscious effort to be kinder to the Earth, to try to reduce my foot print and show a little bit more compassion to the World. I've really been making a conscious effort to reduce waste and recycle as much as I possibly can, including composting my food waste too. Although I'm actually surprised at how hard I've found this because so many products come wrapped in plastic and it can be really difficult to avoid. I now find that the majority of what goes in my bin is plastic packaging and honestly it does make me feel a bit uncomfortable thinking about it just being buried in the Earth. I would really love to be able to access more foods that aren't wrapped up in a little plastic blanket - if anyone knows of any zero waste shops in Cheshire please do enlighten me! I've really enjoyed experimenting with different environmentally friendly products, many of which have become permanent additions to my life. These include Soapnuts, bamboo tooth brushes, bicarb and vinegar (a match made in cleaning heaven), the Mooncup, cloth sanitary pads and DIY deodorant - which surprisingly is pretty effective. 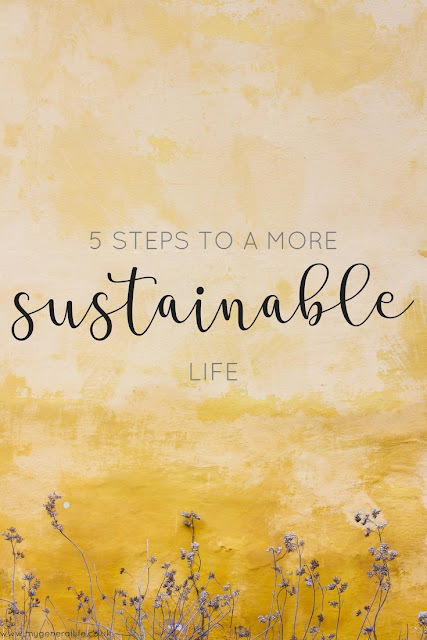 Slowly but surely I'm trying to make more sustainable and environmentally friendly choices as and when I use things up. Using land to grow food, rather than farm animals on is far more environmentally friendly and sustainable method of food production. This year I've decided to try my hand at growing some of my own vegetables in a hope that I might need to purchase less. I'm not naturally green fingered but I'm excited to give growing my own veggies a try. I'm currently only growing a small amount as my garden isn't set up for growing lots of veg (yet), but I'm excited to watch it grown and enjoy my first crop. We live in a consumerist society that encourages us to buy into things that we really don't need. I'll hold my hands up and admit that I'm guilty of this and it's something I'm trying hard to change. The more you buy, the more demand there is to produce. With this comes pollution, chemicals, deforestation, waste, the list goes on. The way I see it, it's all about supply and demand and if demand goes down then the supply will too. Think about the things you buy and if you really need them. If you do really need them then is there a more environmentally friendly or sustainable option? Reducing your intake of animal products can be a huge step towards living a more sustainable and environmentally friendly lifestyle. Eating more of a plant based diet uses up less resources and is a far more sustainable option for the Earth. Livestock takes up a huge amount of land and produces far less food when compared with using that land to grow crops (plus the land used to grow the crops that actually feed the livestock in the first place). I promise you it's far easier than you think it will be to reduce your intake of animal based products. I have plenty of recipes here on the blog to get you started, you can find them here. I'm not writing this claiming to be perfect, I'm far from it. But I'm making a conscious effort and that, for me, is what it's about. And if I can do it, then you can too. Explore, learn and grow, we only have one Earth and it's up to us to do what is within our power to try to look after it. I'd love to hear if you have any sustainability tips or tricks to share, what are you doing to lead a more environmentally friendly life? 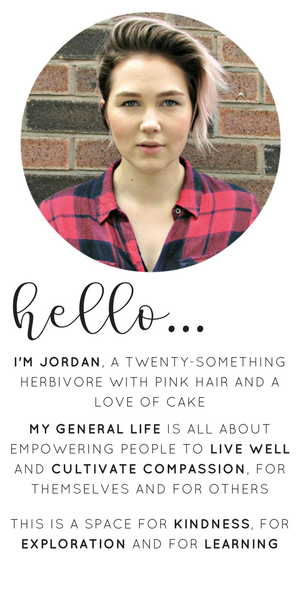 Why not leave your thoughts in the comments below, or drop me a tweet @_hellojordan. Throughly enjoyed reading this post. I couldn't help but nod my head as I read each point. 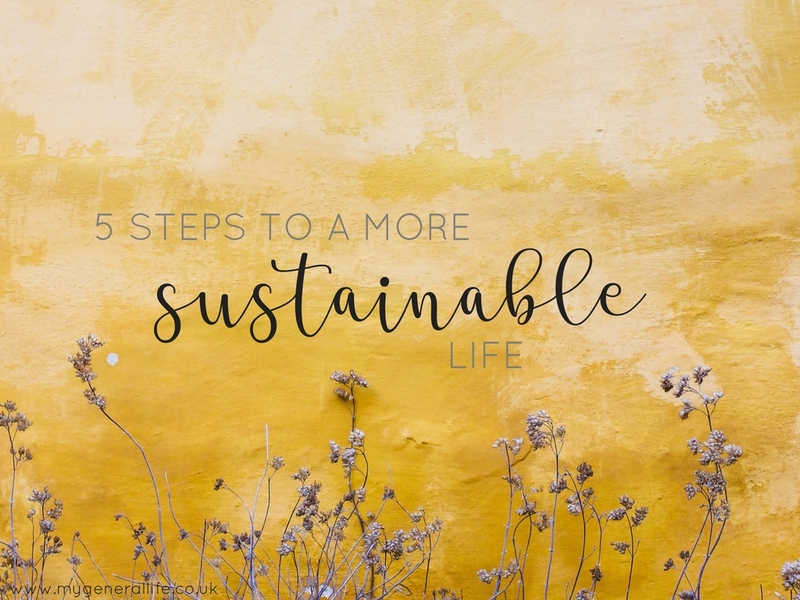 Living a sustainable life starts with us.